Despite Peru’s rise to middle-income-nation status, pockets of poverty remain. Chilca, a poor district in Huancayo, the capital city of Junín Region, is one of those areas. Houses are small and crowded. Women and children do not have enough to eat, and their diets consist primarily of carbohydrates which lack essential nutrients. Children suffer from chronic malnutrition and anemia. Women are uneducated, and domestic violence is common and hard to escape. Pregnant women lack basic knowledge about their bodies. Parents are unaware of the importance of stimulation to child development. Poor sanitation, ignorance of correct nutrition, and mistrust of healthcare providers make good health elusive. Mortality rates for mothers, newborns, and children under five remain high. 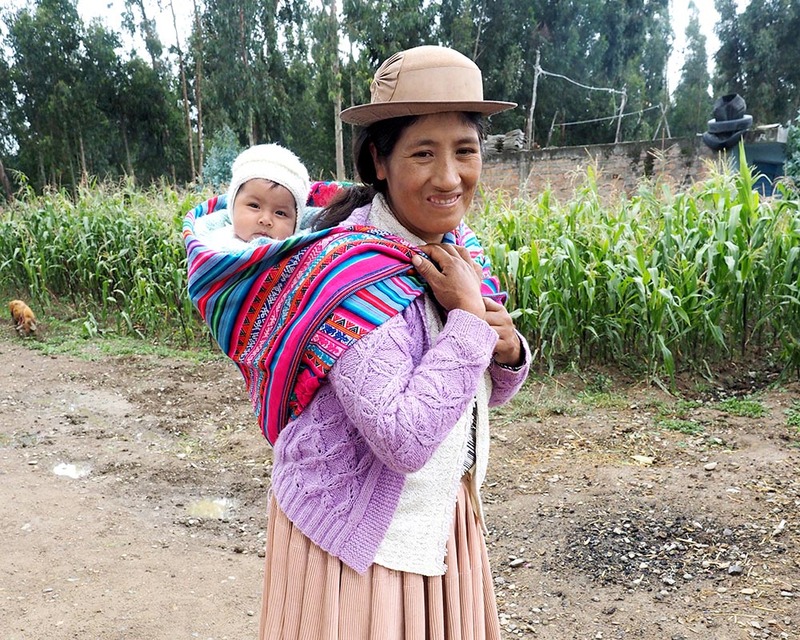 Life expectancy is lower than elsewhere in Peru. Some healthcare facilities lack reliable electricity to power the refrigerators that provide cold storage for vaccines and medicines. Essential drugs are not always available due to restocking delays; curable illnesses go untreated. Clinical staff training in Huancayo is not always comprehensive. Health facilities lack essential equipment, such as to sterilize equipment and manage waste. Pregnant women who visit healthcare facilities encounter poor infrastructure, inadequate supplies, and an absence of privacy for sensitive consultations, with healthcare providers in short supply. As a result, many resist seeking care. Clean water is hard to obtain for families and lacking at many health facilities. Sanitation is inadequate: La Esperanza Health Post toilets overflow when it rains, and open defecation is the local norm, contaminating soil and community water sources. Lack of education and limited formal-sector employment opportunities, especially for women, translate to poverty for many, and limited financial resources make it challenging for families to obtain nutrient-rich food. Resulting illnesses mean fewer workdays, less income, greater healthcare costs—and a persistent cycle of poverty. Continue to work to improve infrastructure and supplement equipment and supplies at six facilities. Are working with health facilities to manage drug stocks and ensure electrical power. Provide professional development opportunities and clinical support to healthcare workers. Provided water, sanitation, and hygiene facilities to three healthcare facilities in Chilca district. With district health teams, have built up a network of community health workers—respected individuals who educate families on healthy practices. Are working with pregnant women and their partners to help them understand pregnancy nutrition needs and what to expect in each trimester, during delivery, and postpartum. Are teaching good health, hygiene, and maternal and child nutrition practices to families. Conduct early-childhood stimulation workshops for parents and caregivers. Are helping women raise vegetables and small animals to consume and sell. Trained local women to sew and produce handicrafts and vintage toys; participating women have gone on to other income-generating activities, and CMMB has linked them to local and sub national markets. 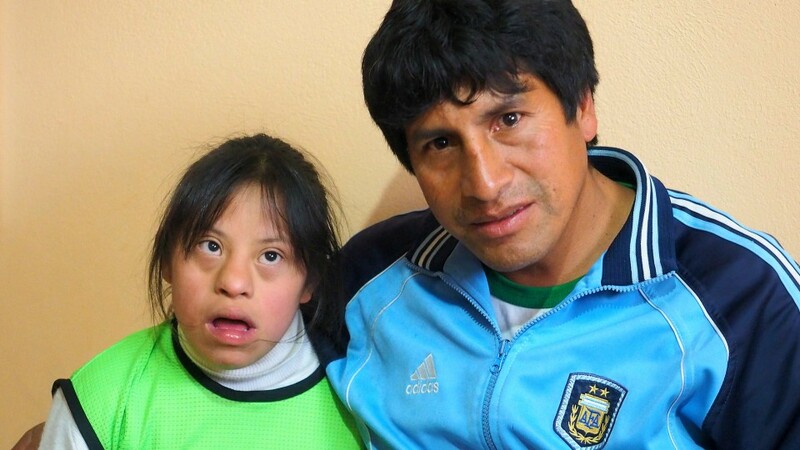 Cielo is intellectually disabled and couldn’t communicate before she started working with our CMMB therapists. In less than a year, she can say over 20 words! Her mother loves hearing her daughter's voice. The first 1000 days of a child’s life are critical. 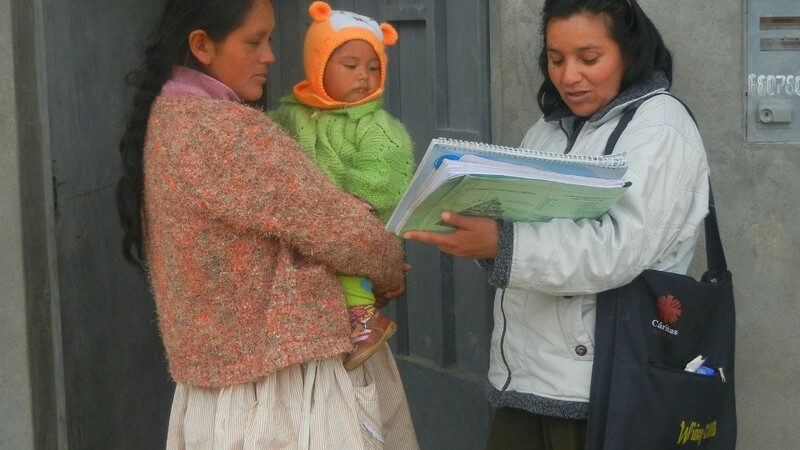 Yanita visits mothers in her community to ensure they know how best to support their babies. Jordy was born with an intellectual disability making learning a challenge. With the help of CMMB therapists he has learned how to communicate and he's going to school! 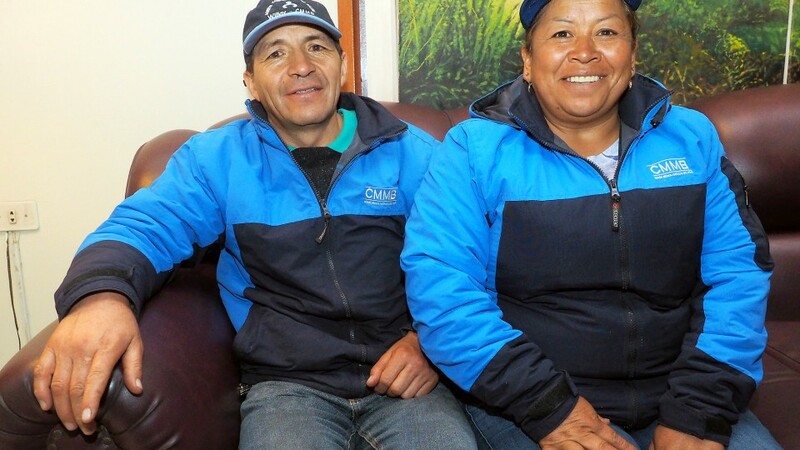 Delfina and Lourdes are CMMB's only husband and wife Community Health Workers. Together they deliver more than health to their community - they deliver hope. Joanna was bullied in school because of her disability and lost all confidence. Her dad and our staff are working hard to ensure she reaches her God given potential. We believe in happy babies. Many women in the mountains have minimal education. They simply don't know how important it is to deliver their babies at a health center. That's why CMMB works with community health agents to ensure that moms-to-be such as Emma receive information to keep her healthy through her pregnancy and afterward. Four-month-old Astrid Ariana is happy and healthy, and she and her mom participate in CHAMPS early-infant stimulation classes. We believe in families eating well. Malvina's oldest daughter, Jessica suffered from severe malnutrition and chronic anemia when she was small. 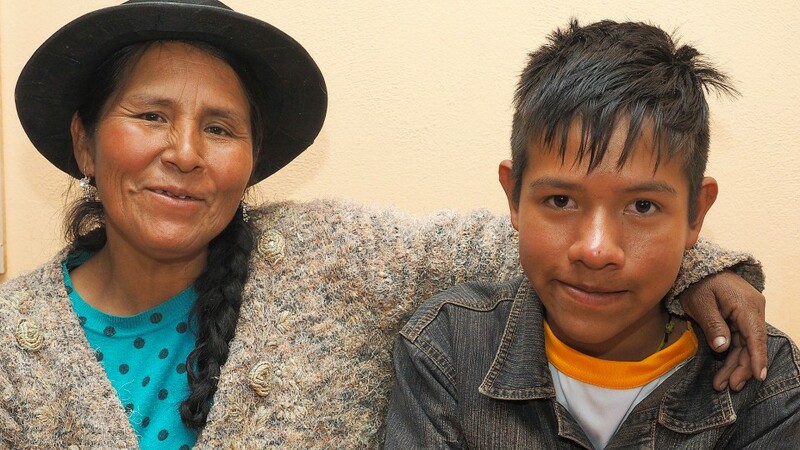 With education and support from community health agents in Huancayo, Malvina has learned about the importance of nutrition and its impact on health. With help from CHAMPS, Malvina makes sure that all her children now eat a healthy diet. She has started a garden and is raising rabbits and ducks to give her children a dependable source of healthy vegetables and protein. Her youngest daughter, Nicole, is growing up healthy and strong. We believe in helping all families stay healthy. 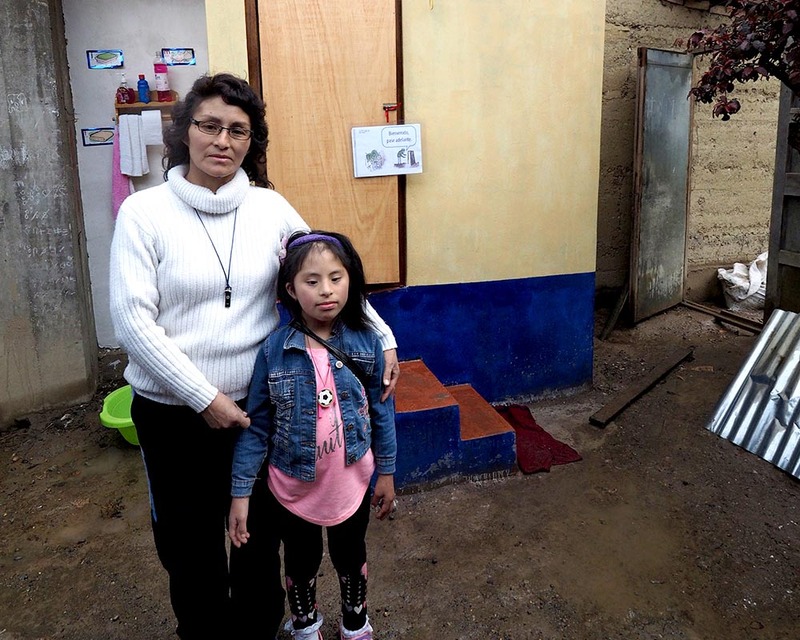 Not having a proper toilet would be a hardship for anyone, but it is especially hard for a family with a special needs child such as Daniela, who was born with disabilities. 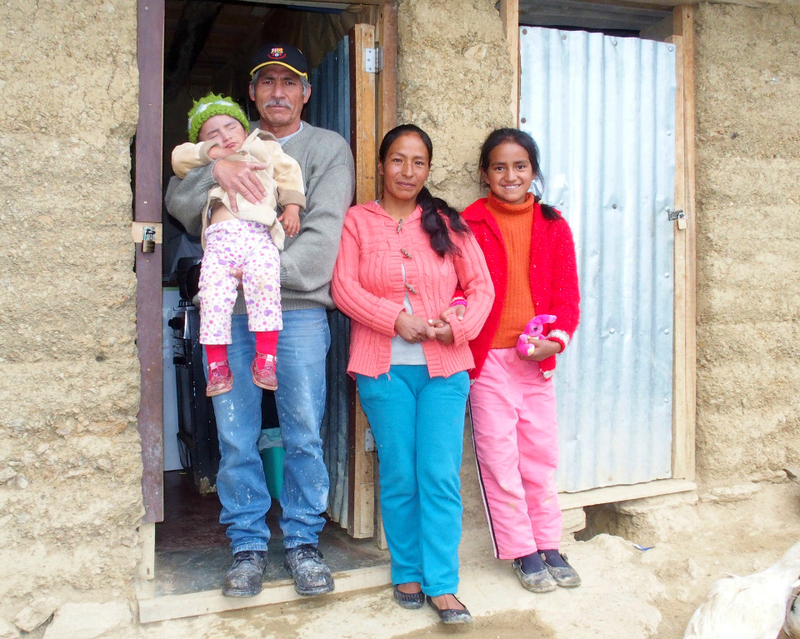 CMMB helped Daniela's mother, Rayda, acquire an ecological toilet, critical to improving hygiene and sanitation in Huancayo, which has no sewer system. Many children there suffer from worms because of the contamination of the soil. If left untreated, worms can cause both cognitive and physical development problems in children.